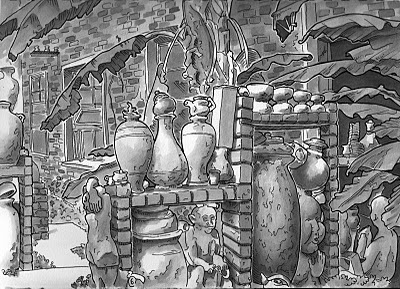 Urban Sketchers Seattle: Piranesi: Urban Etcher. I came across a reference to this guy in the book, Yoga For People Who Can't Be Bothered To Do It, and Googled him. I'm in love. 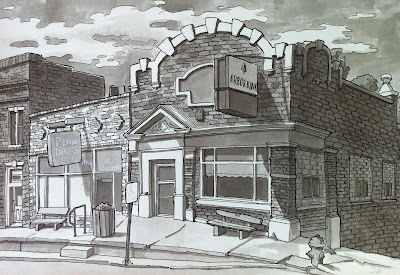 My drawings look lame beside his etchings, but one can see why I'd be excited to find him. 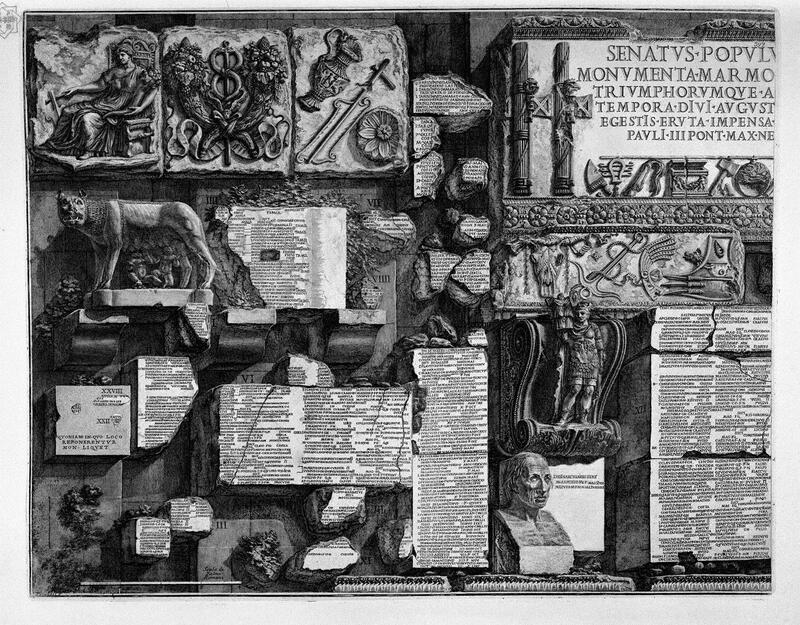 I first encountered Piranesi when my son had to render his dungeon in perspective in undergrad architectural drawing (probably Gail's class). You definitely could be Piranesi's protege, Steve. Thanks, Jane. I take consolation in the fact that I do mine in 2 or 3 hours. 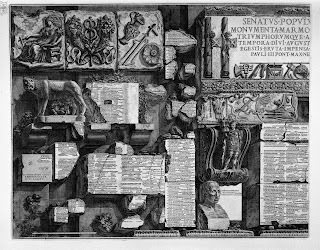 I suspect Piranesi spent a tad more time on his. Still, my next drawing will be more ambitious now that I've seen these. 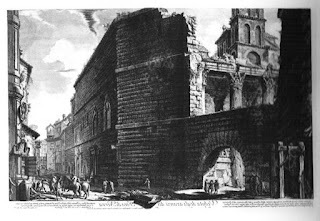 Steve, we used Piranesi's dungeon etchings as a base with a portion of the image blanked out. 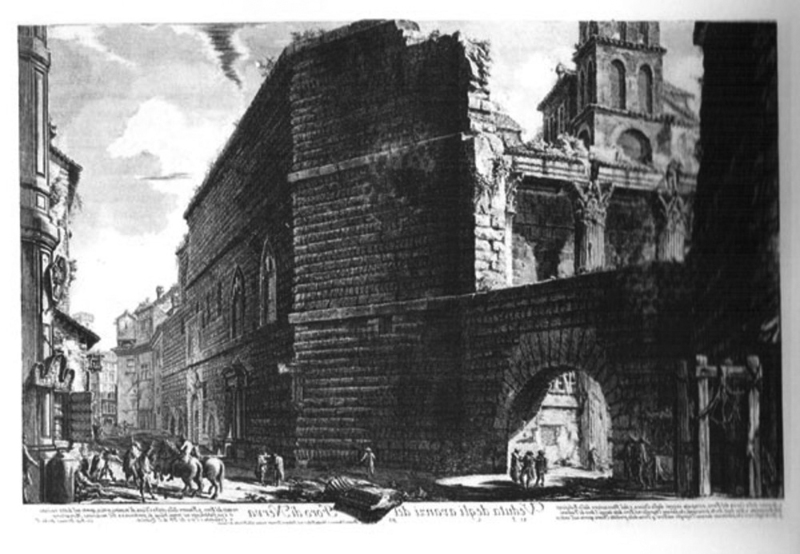 The students were to design the blank portion of the image using the technique and perspective system already established to create a new seamless drawing in the manner of Piranesi. This was a class project we did when Frank was leading the Arch 210 classes. 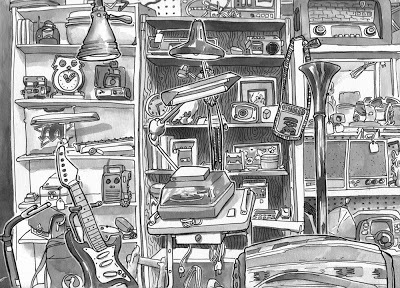 How fun to out your drawings side by side. It's really interesting and you fare well! 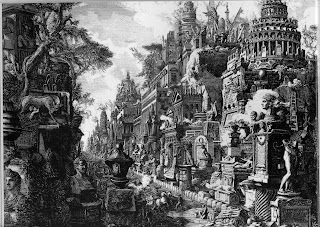 Piranesi produced amazing, very architectural images. My father-in-law has one of his large etchings, the real deal...it hung behind him at the dining table for decades, so I always admired it while listening to him, gazing just above his head to the print behind him! 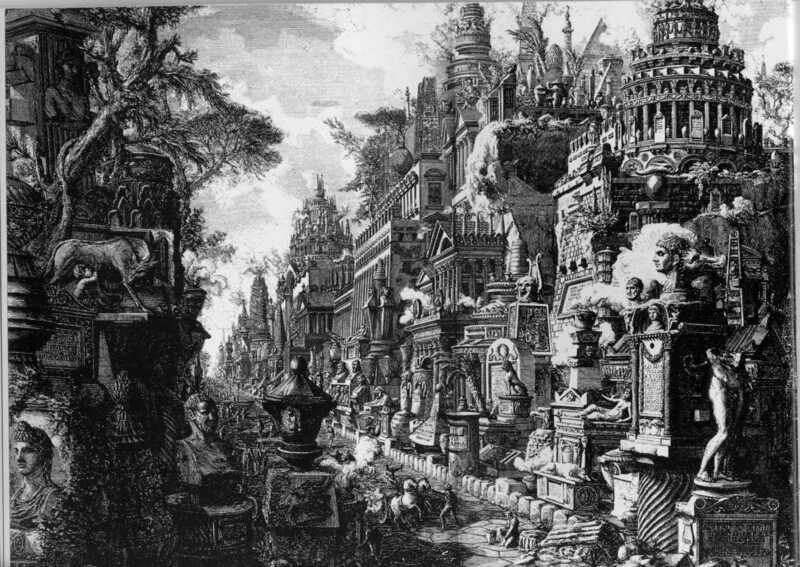 Piranesi is most famous for his dizzying prison drawings, check them out on google images.